These tubes do not contain any additives and are used for CSF determinations or puncture specimens. Without threads, the tubes are especially suitable for automatic decapping by a quick pull movement. They have made the drawing of blood a safer and more hygienic process. 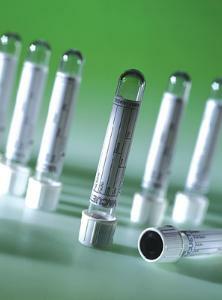 The use of PET plastic offers the advantage that the tubes are as clear as glass.